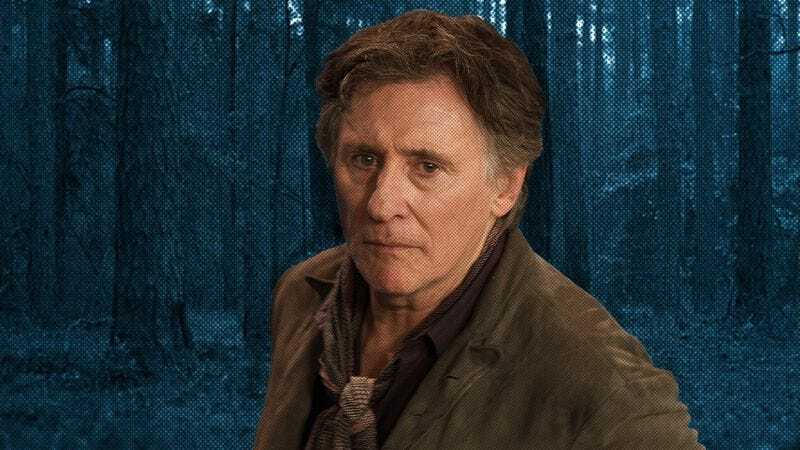 The actor: With over 100 credits to his name, Gabriel Byrne has been steadily working in theater, television, and film since 1978. His roles have ranged from major (Trial By Jury) to ancillary (Vanity Fair) to Satanic (End Of Days), collaborating with exalted directors like the Coen brothers, Jim Jarmusch, and, most recently, Joachim Trier (Oslo, August 31st). In Louder Than Bombs, the Norwegian talent casts Byrne as a grieving father tasked with raising two kids upon the death of their mother. While surveying his varied career, Bryne reflected carefully about the movies that have come to define his body of work. So I came in and auditioned with Marcia Gay Harden, and we both got the role. We sparked off each other in terms of chemistry. This film, along with Defense Of The Realm and Excalibur, launched my American film career. The A.V. Club: What do you remember about the set of Miller’s Crossing? GB: How incredibly precise and prepared they were. How tightly written the script was. How although they were very encouraging of freedom on the set, it was, at the same time, subject to whether it served the script or not. Eventually, we decided there would be no improvisation of any kind. Although they’re very serious behind the camera, they’re also jokers. We had good laughs, but the work came first, always. AVC: Did it feel like you had arrived during the filming? GB: I don’t think you ever feel like you’ve arrived. I don’t know any actor who would say that. I knew the script was really tight, and I knew the cinematographer and music would be superb. What I didn’t perceive is that 20th Century Fox, in their wisdom, would release it the same week as Goodfellas. So that you had two gangster films coming out at the same time. And Goodfellas is a much more accessible, visceral kind of gangster film. Miller’s Crossing is more in the style of Raymond Chandler. Those noirs from the 1940s. But it didn’t do well at the box office. Critically, it was a hit. It’s interesting to see the die-hard fans of the Coen Brothers love the movie now. The film never faded away. It just became more popular with time. GB: The same is true for The Usual Suspects. As somebody told me the other day, The Usual Suspects was turned down 39 times. GB: I think people are often afraid to take risks, because at that time that cast was completely unknown. Benicio Del Toro and Kevin Spacey were just coming into recognition at the time. But once again, that film has never gone away. Young kids come up to me and say, “Oh yeah, we watch that movie in the dorm at college.” You realize the film hasn’t dated. However, when something is classically done, it doesn’t date. On the set, all I remember was what fun we had. It was just glorious fun for 27 days. I think it’s kind of well-known now that Bryan Singer left in scenes that we just couldn’t stop laughing at. In that interrogation scene, everybody was cracking up and he just left it in. AVC: Was the ending known to everyone on set? GB: We all knew, but we weren’t sure whether it was going to work. When you look at that on the page you think, “How are they going to pull that off?” The guy reads the plot off the wall, and then walks away without a limp. It’s a great ending. GB: I did Dead Man immediately after that. I got a call from Jim Jarmusch and he said, “Look. You remember when we met that time at the hotel? You said you would do a couple days of any film that I was doing.” Which I did say. I didn’t care if it was a day or two, because I love his work. It was a small thing with Johnny Depp. So I stopped off there on set, and they had rigged up a bullet mark on my neck, an explosion. And they had only one chance to get that right. And so we got it right. The same thing happened with Wim Wenders as well. The only two I asked for a job was with Wim Wenders and Jim Jarmusch. AVC: How much do you chalk up to chance when landing these roles? GB: Well, there are the only two times that it’s happened to me. I hate parties and I hate networking. I hate going to industry things. I’m not really in the loop in that way. I like to keep my freedom and privacy. AVC: That’s a good thing right? GB: I think so. I’ve never been a person whose been interested in chat shows. I just don’t want to be part of that, to be honest. GB: You always look at pictures that you’ve done and you associate them with times in your life. That was just after The Usual Suspects and again, I didn’t want to get bogged down into a huge commitment. Tony Scott, who directed the film, said, “Do you want to do a couple of days on this?” And so I did. I used to live on the same apartment block as Jerry Bruckheimer. The first day on set I heard very close to me had died, and that’s what I remember. I was there on set, but the whole time I was thinking about getting to the airport to get back for the funeral. You think that’s just a scene in the movie, but you’ll always remember where you were and what you were doing and what stage of life were you at. GB: It’s a terrific film that no one has seen. It was incredibly well-received. And at Cannes it was given a great reception. As you know in this business, so much depends on advertising budgets, distribution, and timing. Sometimes a huge advertising budget doesn’t make a difference to a film at all. You know the vagaries of it all. AVC: Does it become discouraging when you put your heart in the work, and then advertising falters, or the distribution plan is not properly thought out? GB: That is disappointing and frustrating. But I think you get to this stage where you understand that no actor has any control over the final process of the film. So the only way you can keep going is to say, “I want to do this because I want to work with this director and this script.” And after that it’s not up to me. AVC: So you throw your hands up once it’s a wrap. GB: I think rather than throwing your hands up in frustration, you become resigned to the marketplace. And you look at movies and you think, “They made that movie for $200 million dollars and they’re spending $200 million on advertising”; it’s not a good film. Then you look at the little films that people have tried for years to get made, and they come from minuscule budgets and they come and they go. It’s a much bigger question as to what the marketplace wants and demands, and what the marketplace is given. For example, if you took all the big-budget studio pictures and you put them in the arthouse, and then you took the arthouse pictures and put them in the multiplex, I think you’d have a very different cinema-going audience. AVC: What does the American public desire? GB: That’s the chicken or the egg question. Are the studios giving audiences what audiences want, or are audiences getting what the studios give them? I don’t know that you can be complex in huge budget movies, because the aim of those movies is to appeal to audiences ranging from China to Wisconsin to Iceland. AVC: Because most people don’t understand complexity? GB: I don’t think people are given complexity. People like to think in stereotypes. The same is true of news reporting and television programming. People get one-dimensional versions of the truth, and big budget movies give one-dimensional views of dramatic situations. Not all, but for the most part. GB: I don’t know if a movie about grief and the affect of the death of a mother would get into a mainstream cinema. People have this idea that you go to the cinema to be entertained, so let’s not have anything that’s too depressing. But the truth is, we all live with that theme and we all live with life, death, and grief. I’m not being esoteric here, but I think that movies should provoke you. AVC: And this film strikes a chord? GB: Of course. If you’ve ever lost anybody that you’re close to, and you’ve observed the effects of death on the family. It rang bells for me as a father. There are situations in this film that most people can recognize. If you’re a teenager and your father or mother calls, it will immediately go to voicemail. Because I don’t want them to know where I am and I don’t want them to know what I’m doing. It’s not such a war against the parents as it is a desire for the adolescent to become their own person. To say, “Look, I have my own life. You can’t tell me what I can and can’t do.” As a kid, you’re beginning to develop a sense of your own self. The idea that you have to lie in order to protect that developing sense of self. AVC: Do you remember when you felt like you came into yourself? GB: I think that’s an ongoing process. I think that life is like a series of curtains and you open a curtain and then there’s another curtain. And your life just reveals more and more of yourself to yourself, without ever getting to a place where you think, “I completely know who I am now.” Because you never really do. Most of the time we’re not really tested. There’s this great movie with Dustin Hoffman about a plane that crashes [Hero], and he’s the guy who goes back in to rescue the people. Or he’s the guy that runs away. I can’t remember. AVC: And so which guy are you? GB: I know what I’d like to be. Whether I’d be that or not, I don’t know.